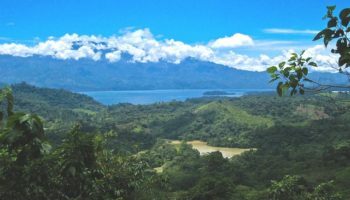 From palm-lined sandy beaches and enchanting cloud forests to ancient Mayan ruins and Spanish colonial towns, Honduras has everything that tourists seek in Central America. 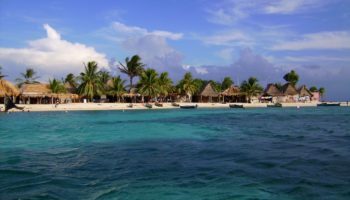 Snuggled in between Guatemala, El Salvador and Nicaragua, Honduras is one of the region’s largest countries and features a long Caribbean coastline that offers convenience to an array of beautiful offshore islands as well as the world’s second-largest barrier reef. The country’s capital, Tegucigalpa, along with other large cities such as San Pedro Sula and La Ceiba, offer the most in modern attractions and transport, shopping, dining and nightlife choices, while charming old towns like Comayagua and Gracias feature Spanish history and colonial architecture. The cozy mountain town of Santa Rosa is the tourist’s ticket to Copan‘s impressive ancient Mayan ruins. Coveted destinations like Cuscuco National Park, Lake Yojoa, Río Plátano Biosphere Reserve, and Rio Cangrejal are Honduras’s natural attractions, presenting opportunities for hiking through tropical cloud forests, touring coffee plantations and exploring unspoiled ecosystems teeming in exotic wildlife in addition to adventures like cave exploring and whitewater rafting. 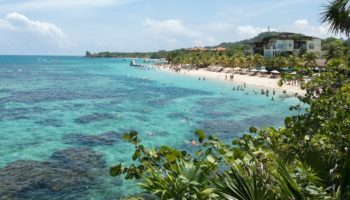 A short flight or boat ride out to the Bay Islands of Roatan, Utila and Guanaja awards a Caribbean paradise ideal for swimming, diving, snorkeling, sport fishing and boating.